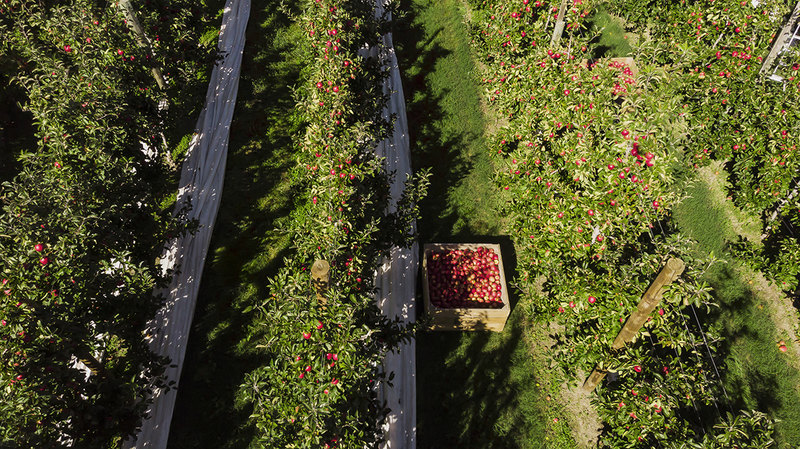 The New Zealand apple season is looking rosy as warm summer temperatures and cooler autumn evenings bring on a rich colour and full flavour to the new season fruit. Hundreds of orchard workers have descended on the orchards of Hawke’s Bay, Nelson and Otago to pick and pack apples, with total volumes for T&G, New Zealand’s largest apple exporter, expected to reach more than six million cartons, up on last year’s volumes. New Zealand's buoyant apple industry is set to produce another bumper crop, on the back of a growth strategy which will see the country hit one billion dollars in export sales by 2020. T&G is well on the way toward helping the industry achieve that. "Our apples are looking good in terms of colour, texture, eating quality and flavour, and due to New Zealand’s superior breeding programmes, our world leading growing systems and post-harvest technology, it means only the highest quality fruit enters the market,” says Peter Landon-Lane, T&G’s Chief Operating Officer. Around 95 per cent of the crop will be picked and packed for international markets, where premium prices are paid for T&G’s flagship, award-winning apples, JAZZ™ and Envy™. JAZZ™ apples were first born in the leafy orchards following a natural union of Royal Gala and Braeburn varieties. Seventeen years later JAZZTM apples have become not only a New Zealand favourite but a global favourite, now sold in 60 countries and grown in ten countries under a closely controlled quality growing programme, managed by T&G Global. Jazz™, and its equally successful sibling, Envy™ are among the top five premium apples in the world with Jazz™ voted UK’s tastiest apple in 2018 and Envy was voted the number one apple of choice by US consumers last year. Traditionally, most of T&G’s apples were being sold into the UK and US, but that is changing as Asia and the Middle East emerge as key markets, making up half of our exports. Peter says while spring threw some challenges for growers in Hawke’s Bay, delivering wet weather, warm summer temperatures moderated by the recent cooler nights have meant good fruit size and high-quality fruit. Meanwhile in Nelson, a wet winter was followed by good pollination conditions in spring. However, since the new year, there has been very little rainfall meaning an earlier harvest start date in the region. Otago weather has been favourable for apple growing with a good crop expected despite a few pockets of hail which caused some damage during the Christmas and New Year period. “The harvest is in full swing this month including several orchards we have invested in over the last few years to ensure we will continue to meet global demand for our apples,” Peter says.